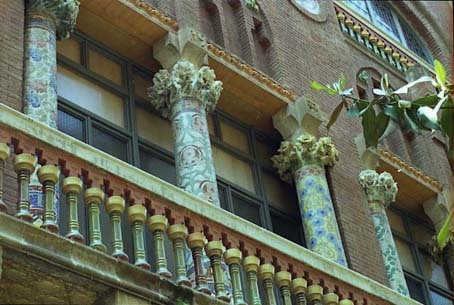 Present condition: The Palau was recently restored and is in good condition out and indoors. 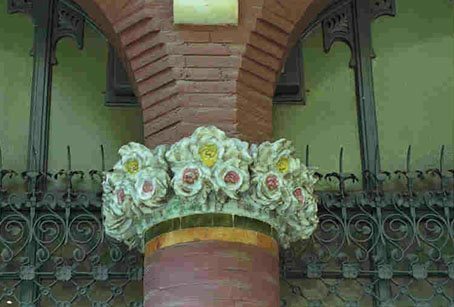 New works had been recently inaugurated respecting the work of Domènech i Montaner. That works consist in a new Chamber concert hall in a place where it was a church, permeting now to see one of lateral façades of the initial building previously hidden. Visits: From Monday to Sunday: from 10 to 15,30 h. Visits every half hour. Languages Catalan, Castilian and English. Duration of the visit 50 minutes. People accepted, maximum 55 persons. The timing will be changed or cancelled following the events in the concert hall. 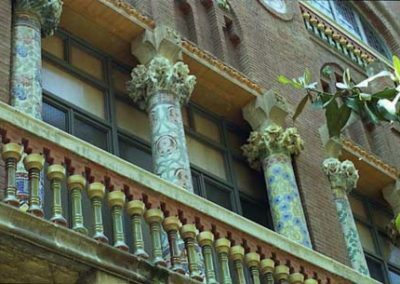 Sale of tickets: From Monday to Sunday in the Palau ticket office and in the shop “Les muses del Palau” (Sant Pere més Alt street) from 9,30 to 15 h.
Phone: +(34) 902 442 882, Fax: +(34) 295 72 08), E-mail: taquilles@palaumusica.org. Students, pensioners and unemployed 7 Euros (with identification). Members of Orfeó Català Free entrance (with identification). Handicapped accessibility: The building has a lift to access the outbuildings. 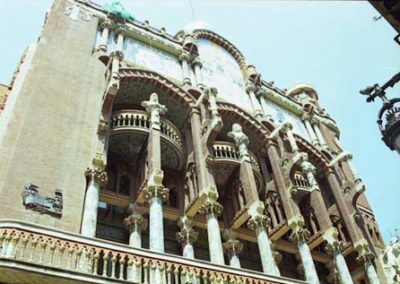 Concert hall designed by Lluís Domènech i Montaner and opened in 1908. This building is the headquarters of “Orfeó Catala”, a prestigious institution grounded in the year 1891 by Lluís Millet and Amadeu Vives to support Catalan music and culture. This is the reason why the decoration of building show into the concert hall some representations of the “quatre barres” (four bars, who is the Catalan coat of arms). 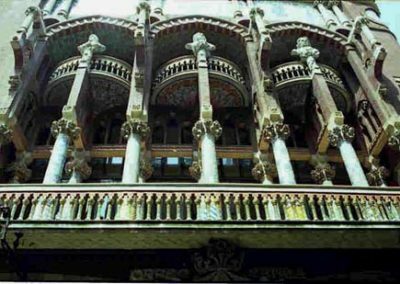 Because the prosecution of Catalan culture, that symbols had been covered with curtains during the dictatorship of Franco. 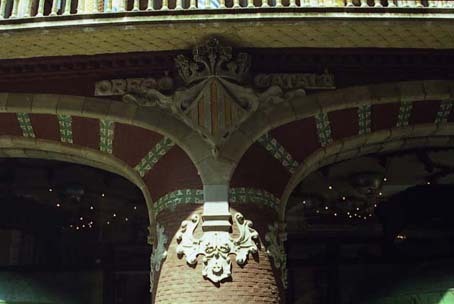 Inside the concert hall, all the scene is an sculpture representing in one side the “Ride of Walkiries” and in the other side, the figure of Beethoven, sculpted by Pau Gargallo and Dídac Massana. 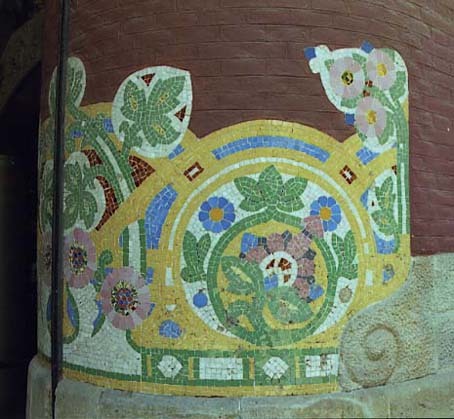 On the back of the scene, various high relief’s decorated with mosaics was made by Eusebi Arnau and Mario Maragliano respectively (following Permanyer). 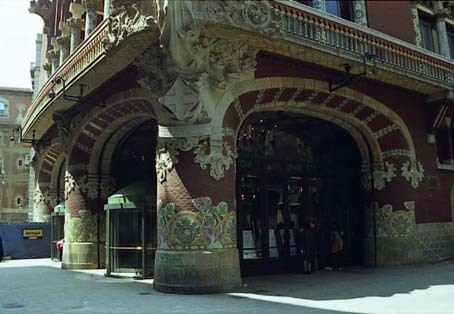 The splendid central glass light on the roof was made by Rigalt and Granell. 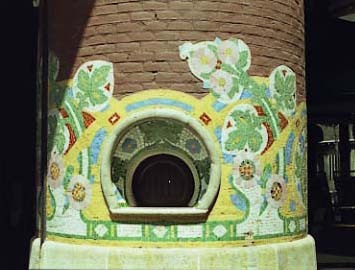 The façade is made in red brick and decorated with mosaics from Lluís Brú. 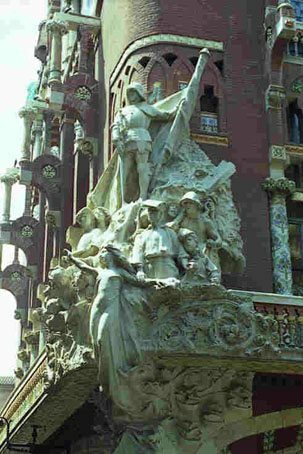 The beautiful sculpture on the corner façade representing the “Popular music” was made by Miquel Blay. 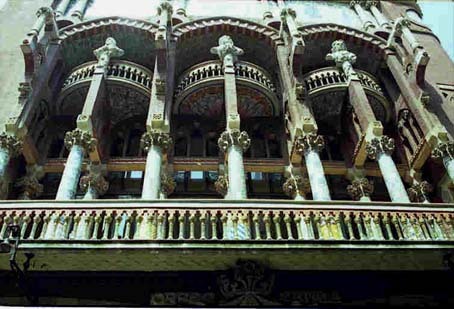 The UNESCO declared this building a “World Heritage” in the year 1987. 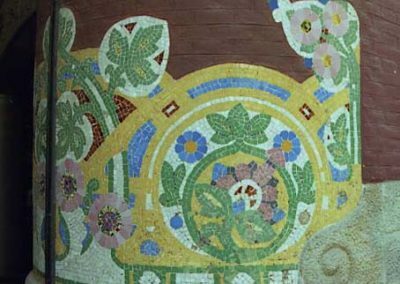 Centenari Artís, P. i Millet, L.